You're welcome to drop-in to our group classes. Register online to secure your spot as class sizes are limited. 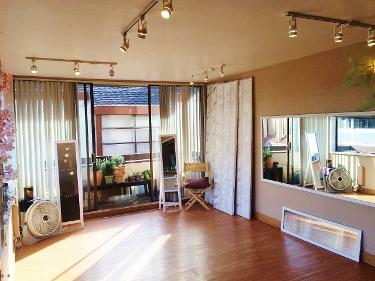 Everybody is loving our new studio space in Japantown. It's perfect for private lessons and our smaller sized group classes. For parking, consider the Japan Center Garage with entrances on Post St and Geary St. Street parking available and it's free after 6pm. When you arrive, press the buzzer downstairs to gain entrance to the upstairs reception area. The main dance studio is upstairs. It's 1200 sq ft with one wall of mirrors and a professional sound system. Free street parking is readily available.